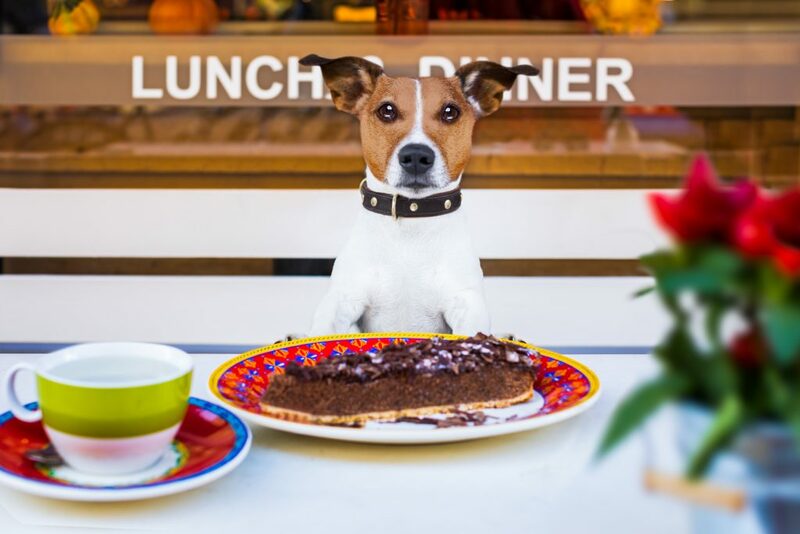 Gone are the days when dog lovers had to leave their four-legged companions home alone when they wanted to enjoy a Sunday brunch or dine at their favorite neighborhood eatery. Today, pet-friendly hotels and venues are sprinkled all across the Vegas valley, including high-rise communities like Juhl in Downtown Las Vegas. Whether you’re in the market to buy a new home or just on the lookout for fun things to do with your fur buddy, here are some places that embrace your status as a dog owner, while showering your dog with special offerings, created just for them. It’s December, which means ’tis the season for holiday shopping! Bring your dog to one of our favorite outdoor plazas, Town Square. The retail center, home to more than 115 shops, has designated dog watering areas, and even pet friendly restaurant options like Brio Tuscan Grille and Yard House that offer outdoor patios for you and your furry friend. Dine at Lazy Dog, where just as the name implies, lazy dogs are greeted with dog watering stations, patio seating and even a special menu to whet your canine’s appetite. Visit The Dog House which sells unique dog items, such as clothing, accessories and treats. And, because Santa is back, make sure you get photos of your pup with Mr. Claus, any Wednesday between now and Dec. 20. This time of year in Vegas means cooler weather, which means it’s the perfect time to go on a stroll or hike with your dog. Visit one of the top dog parks in the valley, where your pooch can have a tail-wagging good time with other furry companions. Some of our favorites are: Desert Breeze Park located on Spring Mountain Rd., which has designated small and large dog areas; Barkin’ Basin Dog Park in the northwest, which boasts lots of shaded seating areas, green grass with tree-lined walking trails and beautiful mountain views; Dog Fancier’s Park in the east valley, which features five enclosed dog areas; and Sunset Park in Henderson, which has three dog areas that are well kept and offer cold water for your pets. Need a java fix? Enjoy a cup of Joe on the patio at The Madhouse Coffee across the street from Sunset Park, where baristas are happy to deliver complimentary water and treats to dogs. 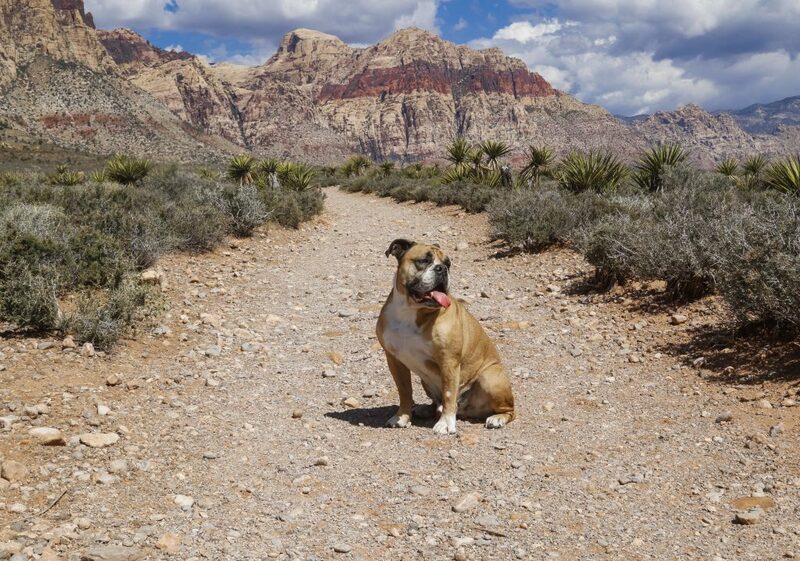 True nature aficionados can visit Red Rock Canyon, which offers pet-friendly hiking trails like Calico I and Lost Creek Waterfall. And if you’re in the mood for a more scenic drive outside of the city, head up to Mt. Charleston for a day hike. Visit the Mt. Charleston Lodge’s restaurant for a post-hike meal, where dogs are offered hamburgers and turkey burgers, while their humans sip on hot cocoa and take in views of the great outdoors. 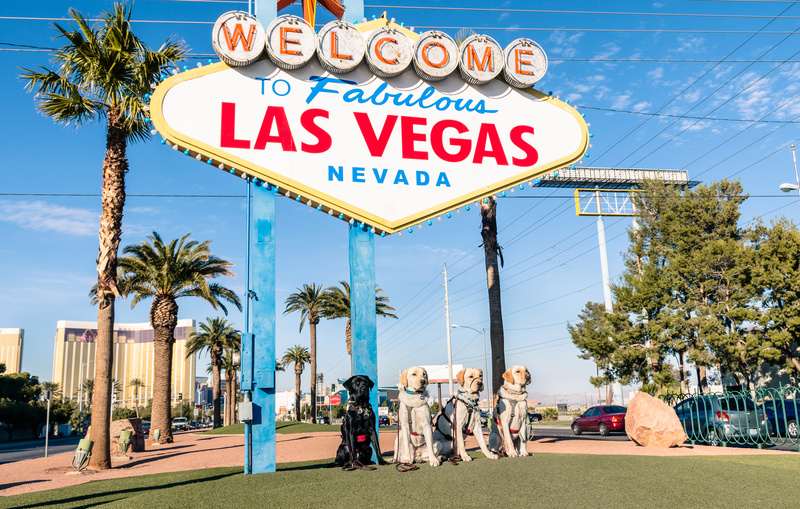 If you’re a dog owner looking to purchase a new home in downtown Las Vegas, fret not, because there is no shortage of amenities to make your canine friend happy. Need a safe place to care for your pooch, while you have to work or run errands? Consider becoming a member of The Hydrant Club on 9th St., a doggy daycare facility that does more than just care for your pup. The staff are trained to instill good behavior in dogs through obedience training, social gatherings and more. There are playgrounds and a well-stocked retail shop that sells top-of-the-line treats, toys and grooming products. At Juhl, pet owners can take their companions on a morning stroll in the community’s private pet walk area. At its sister property, The Ogden, there is also a private, 24-hour pet park that invites your dogs to get their daily exercise! And about that brunch we talked about…restaurants like Triple George Grill and Park on Fremont offer popular brunch eats and patio seating, where pooches are welcome. Now that you know more about all the dog-friendly attractions this city has to offer, it’s time to get out there with your best friend and experience the perks first hand!